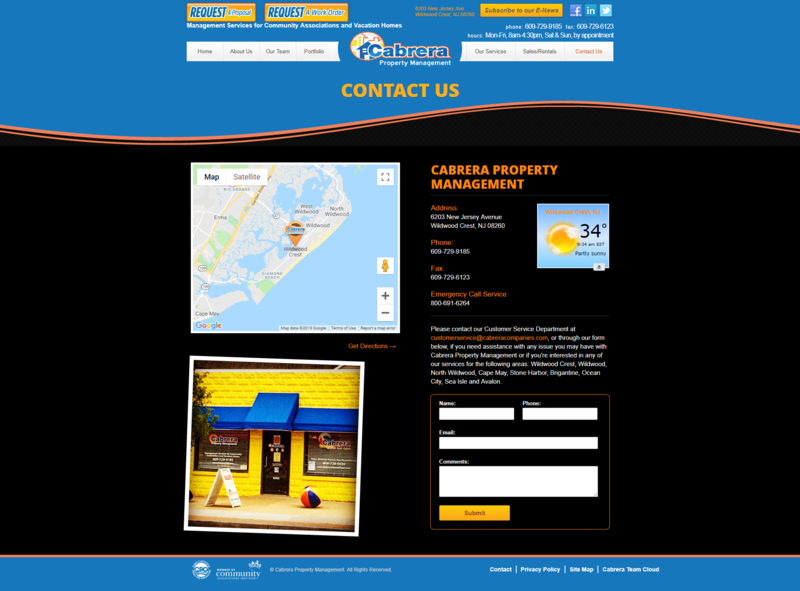 Cabrera Property Management | Portfolio | Sharp Innovations, Inc.
Coastal New Jersey’s Cabrera Property Management was growing and although they had assumed the position of one of Wildwood’s premier management companies, they needed to stay ahead of the competition. Cabrera turned to their longtime strategic partners for their design and development needs. 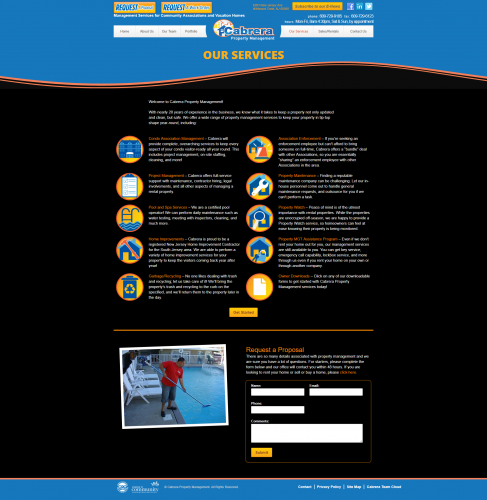 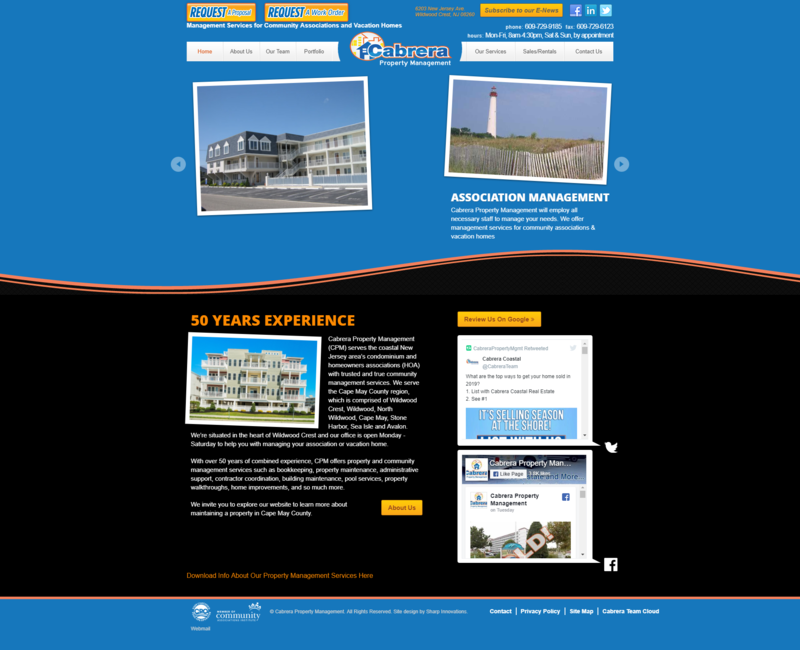 In order to maintain a lion’s share of the property management business in the Cape May area, it was necessary that Cabrera’s website ranked highly among its competitors in a Google or Bing search. 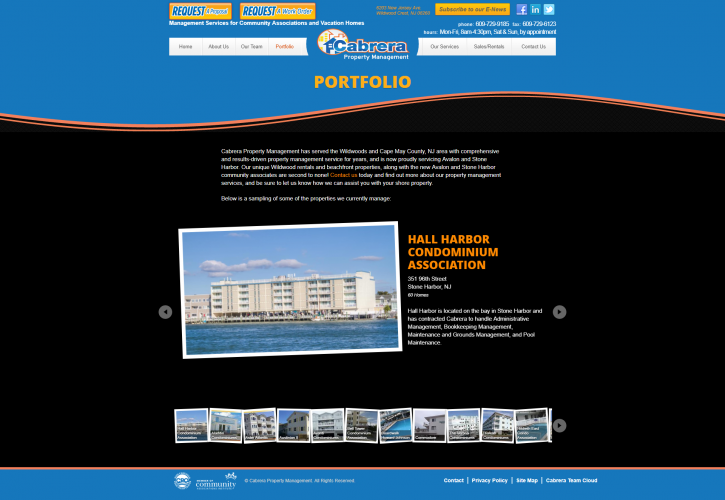 With that in mind, Sharp’s SEM team worked in coalition with its designers to reinvent the Cabrera site, one that was fully optimized and observably appealing. 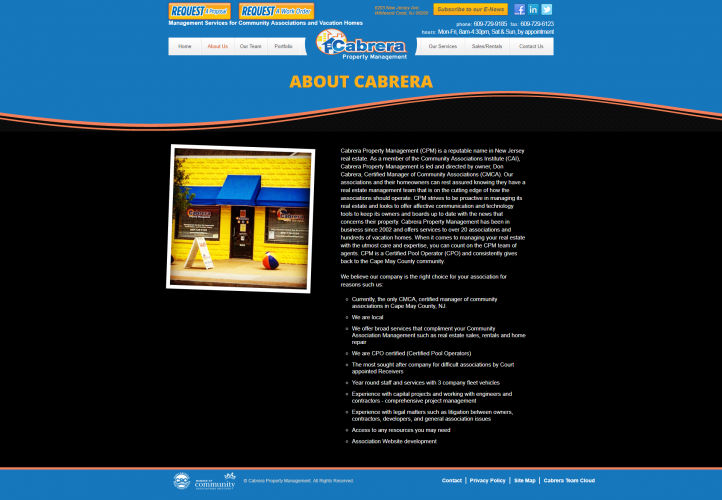 Another feature aimed at keeping social media fans in the loop was an on-page twitter feed widget, giving visitors to the site a glimpse at news, events and even tips by way of Cabrera’s twitter page. 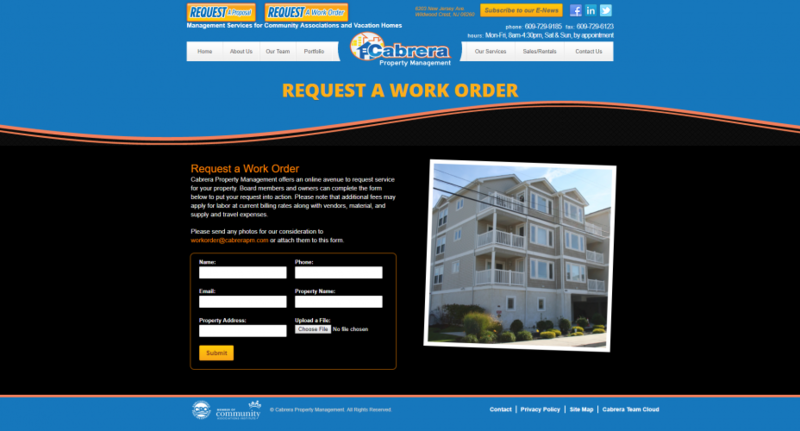 Categories: Design & Development, Business to Consumer "B2C"